This week’s mission: wear out the kids. EK has been attending camp at our church every day from 9:30-12:30, and it’s like they put her in a hamster wheel and make her run for three hours. She comes home so excited but so exhausted that she can barely make it to 1:30 before she’s begging for a nap. While EK is at camp, I’ve taken two days to take J to the pool with some friends of ours, and let him swim for two hours in between drop off and pick up. He’s so worn out that he almost falls asleep in the car on the way home. But it’s a great way to get a nice, long, early nap out of them, and still have plenty of playing and hanging time at the end of the day. We’ve been so busy with something every day for a while now that I am excited this is a week with routine. Yes, it’s still busy, but it’s a similar thing every day. I crave routine, and I think the kids do, too. EK needed a week of socialization. J needed a week of less sibling time. This mama needed a week of having only one kid for half the day before I added a third one into the mix. It’s been SO FUN to have uninterrupted time with J where he isn’t vying for my attention. I often get to do things with EK because she’s easier to take around with me and easier to entertain in most situations. We get a little more girl time in one-on-one. An extra perk to mom and the kids being out of the house in the mornings: Hubby’s getting a LOT done. Between deep cleaning and painting our bathroom, he’s been a rockstar on the home front while I’ve been keeping the kids out of the way. We knew we were up to our eyeballs in home projects (but really, though) so having time that the kids aren’t “trying to help” is crucial. Hubby took the kids after camp today to lunch and to the local produce store. They had a great time, and were ready to go straight to sleep when they got home. These early naps have been lovely. 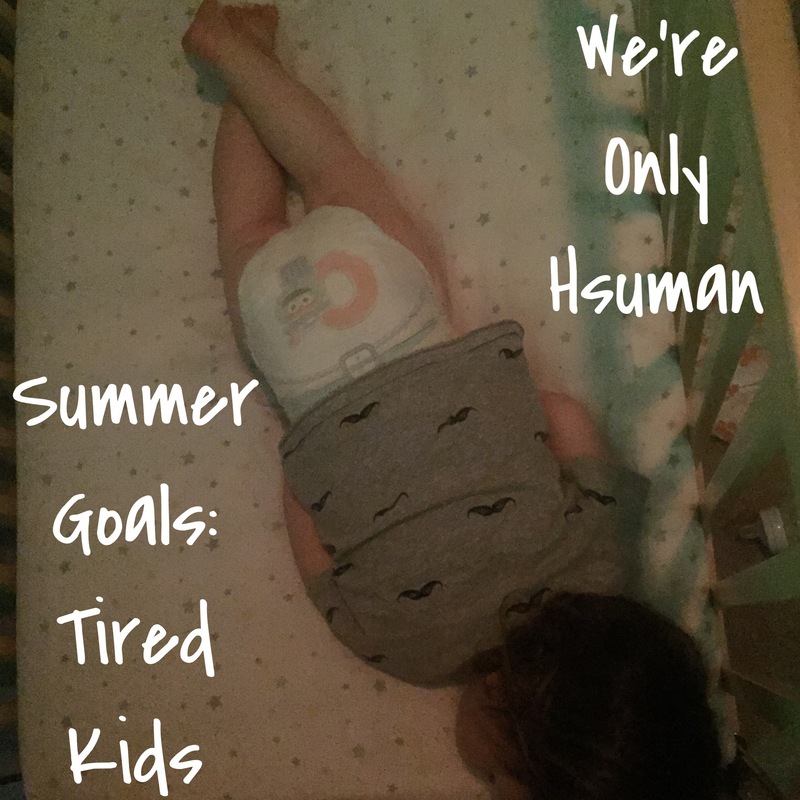 Now the question remains: How do I, as an exhausted mama, keep up the routine of a busy morning with them both, while it’s super hot outside, without boring myself? I can’t do the children’s museum every day. The park is so hot the kids won’t get on the slides. They love the grocery store, but how many times this week can I actually justify going there? Give me all your ideas!